Full House is one of my favorite television shows of all time, and it will forever hold a special place in my heart. There was nothing quite like chilling on the couch after school and working on my homework while giggling along to the antics of the Tanner family. And let's be honest, Uncle Jesse pre-dates Leonardo DiCaprio in my, and I'm sure many others', early boy crush awakening. Anyway, Lifetime recently released The Unauthorized Full House Story, which brought up some storylines that I had no idea existed. For instance, I didn't know Bob Saget had twins of his own or that he was married and had family just like Danny Tanner. And who was Bob Saget's wife during his Full House days, anyway? I wouldn't expect myself to know any details about the actor's life considering I was just a girl in elementary school when the show had its heyday, but after watching Lifetime's movie, I'm fully interested. The Unauthorized Full House Story begins by talking about Bob Saget's past as a stand-up comedian, and his personal life is a main plotline throughout the movie. Saget was already married when he started filming Full House in 1987. Before the show, he was a down-and-out comedian trying to make it in Hollywood and his wife, Sherri Kramer, was a source of support. In the movie, we don't really get much backstory for Kramer, but she was actually Saget's high school sweetheart. Not a lot of information about Kramer is known, and you'll have a hard time finding a photo of her, but according to Saget's book, Dirty Daddy, the two started dating when he was 17 and they got married in 1982. A quick Google search reveals that a "Sherri Kramer Saget" is registered under the State Bar of California as an attorney and was admitted in 1981. She's listed as "inactive, but is eligible to become active." Another search reveals that Kramer also dabbled in screenwriting and is credited as a writer for the TV movie, Bob Saget: In the Dream State. She has no other credits listed on IMDb beyond that. Together, Saget and Kramer had three daughters, twins Aubrey and Lara Melanie and younger daughter, Jennifer Belle. Full House ended in 1995, and in 1997 the couple divorced after 15 years of marriage. 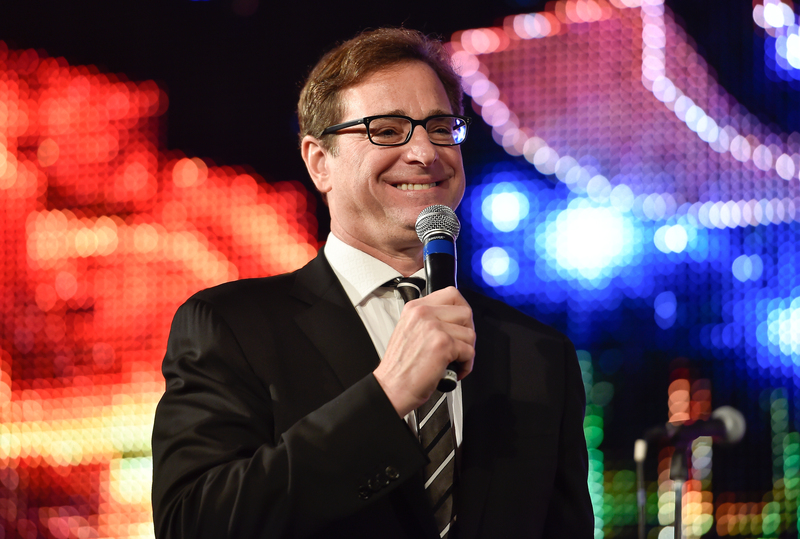 Even though their marriage came to an end, Saget calls his family his greatest accomplishment, once telling Parade, “The best thing I’ve done, the highest thing in my whole life is my daughters... If everything in my life is raised to the level of how great they are then that would be a great thing to have achieved."